This award focuses on the business journey. Bold Steps recognizes companies taking care of people and the planet while also being financially viable. Click here to read more. 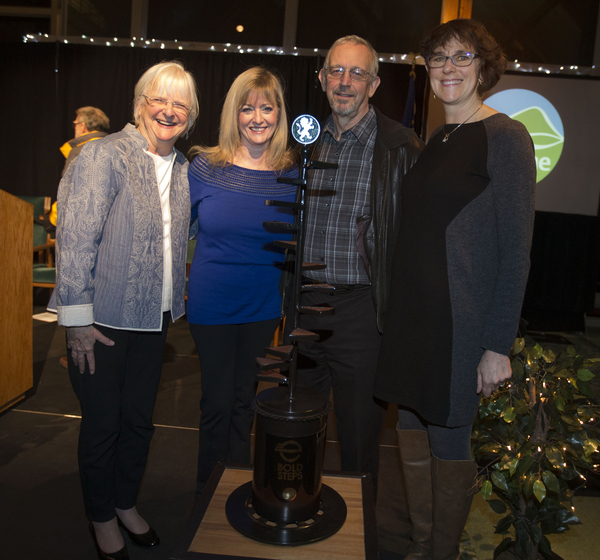 Mayor Kitty Piercy, Connie Rolfe, Jon Texter and Jodi Sommers from Essex General Construction celebrate the 2016 Bold Steps win.